Kuro Kirishima: Imo Shochu - Kampai! : Kampai! Distillery: Kirishima Shuzo Co., Ltd.
That said, for the shochu afficionado, it’s tough to top imo, except perhaps or the legendary Awamori, which are unique to Okinawa. And which Okinawans would claim (correctly) are distinct spirits. 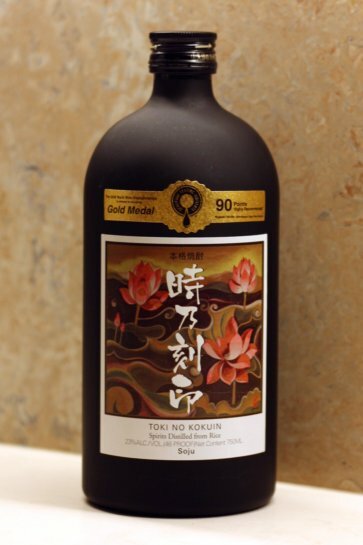 Kuro Kirishima is a nice, relatively smooth entry into the world of imo shochu thanks to the rice content. With a soft, faintly yammy nose, the first thing that strikes you about the flavor is that it’s much richer than the barley or rice shochus. The taste is just a hint smokey, lightly sweet, with an underlying complexity that’s difficult to describe (I’ll amend this with a future tasting). It’s still clear so the rich flavor is unexpected. There is an almost warm mouthfeel despite the ice with the pleasant aftertaste of melon. It lingers unobtrusively on the pallet until you take a bite or have another sip. 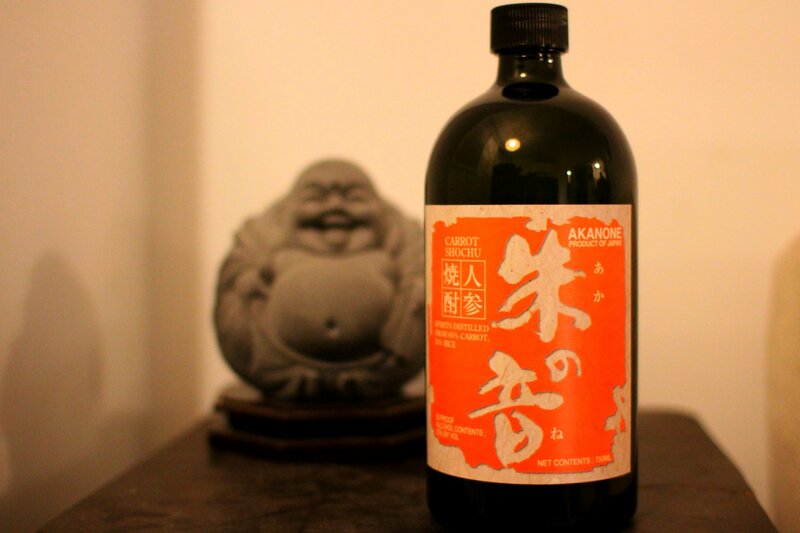 If you’re intersted in trying imo shochu for the first time, this is a very nice choice. Same if you’re in the mood for an imo, but aren’t quite up to the adventure that some provide. While others may be richer, more bold, and more distinctive, this is an easy drinker that goes well with a wide variety of food. It’s definitely one of my go-to options when it’s available. 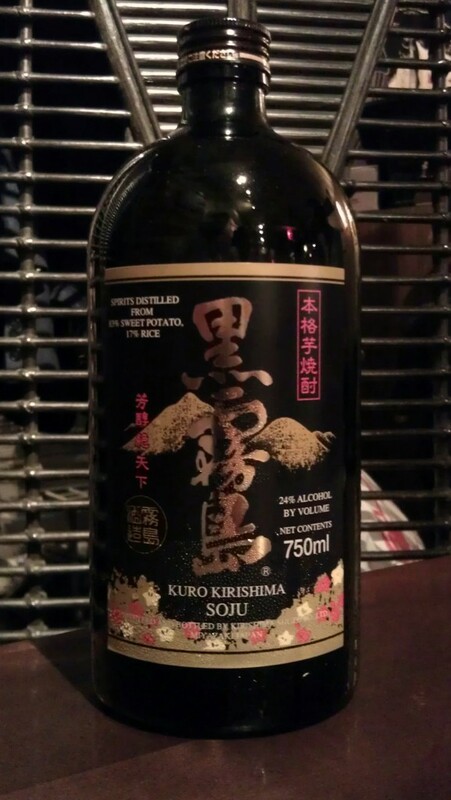 Where can I purchase this bottle of Shochu? Depends on where you live, but as the most popular shochu in Japan, it’s available in plenty of liquor stores and Japanese restaurants and izakaya around the U.S. I am a special order manager at Foundry Row Wine & Spirits in Owings Mills, MD. Do you work with any distributors here in Maryland? if you can provide the name of your distributor in Texas will great.and please provide your company phone no . Distilled carrots? What will the Japanese think of next? Don’t let the gimmicky notion get in the way here. This is a legit gem. Quickly becoming one of my favorite shochus. Kuro Godai, with the rich, dirty flavor so prevalent in black koji sweet potato shochus, adds a dimension to this richness by opting for an unfiltered approach. Nigori (unfiltered) sakes are cloudy, white, and sweet. Nigori shochus are still clear, but have a overtly rich, buttery mouthfeel not found in filtered shochus. The only telltale sign that this is a nigori are the droplets of spirit that cling to the walls of the bottle.